Read below for one student’s reflection on her trip to Austin, and the impact this type of real-world learning has had on her development as a young thinker, leader, and world changer. On March 4th to the 7th I went on a trip to Austin, Texas to attend a SXSW seminar with Dr. St. Roseman. It was a wonderful experience to be in a place where so many people have a passion for changing the world. Seeing all the different types of projects people have been working on was also amazing. One booth had an actual robot where, if you got too close, it would back up and shake its head because you were in its personal space. I was happy to be able to share some of my ideas with a few people because as a teenager sometimes it feels like adults never listen to our ideas. I spoke in “A Vision for Learning in 2035,” a presentation about the future of learning and imagining what type of advanced technology will be used in the classroom in 18 years. I also talked a little bit about my experience attending Oxford Day Academy at the University of Austin Medical School. One of the staff members at the school gave us a tour of the building, which was absolutely beautiful. My favorite part of the tour was getting to see the cadaver lab. I have always had a thing for getting to know about the human body and the different parts and functions of it. 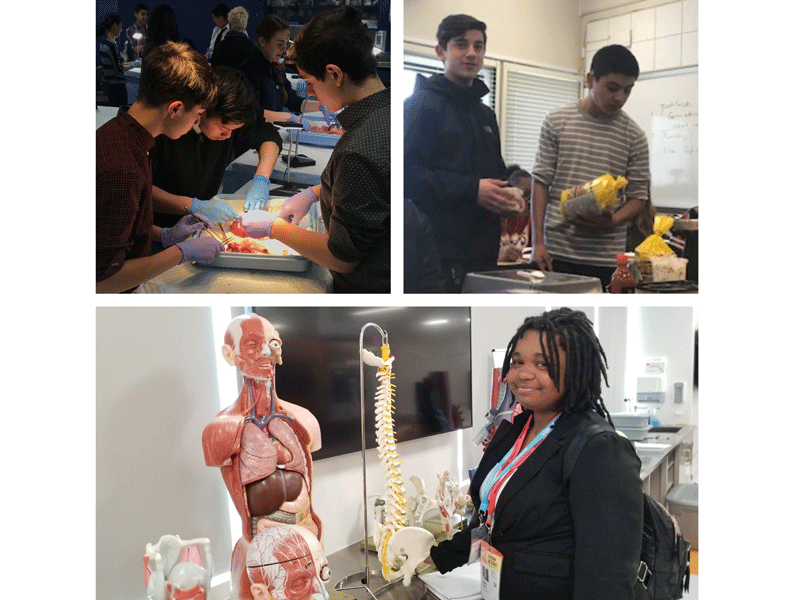 They had so many advanced tools for the students to be able to learn and understand the human body and medicine. Teachers and students from all schools should have the opportunity to go to the SXSW seminar, and visit the University. It would give them a deeper understanding of what the future of learning will look like a few years from now.